Each port is 100% tested to ensure NEXT and RL performance and is individually serialized to support traceability. 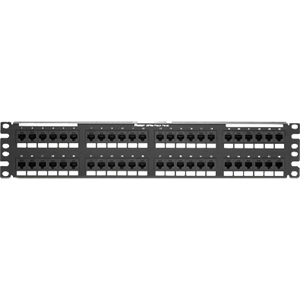 Utilize 110 punchdown termination on back panel and includes retention cap for each port. Each port contains a universal label that is color-coded for T568A and T568B wiring schemes.